Oh, the carousel of time has come around again and here I am at the beginning of a new school year (which will probably always feel more like the “new year” than the actual new year as long as I have kids in school and a teacher husband). I know I say every year that summer went by so fast, but this year it really did go by fast. I’m usually ready for the transition into the academic year but this year I was NOT at all. Unfortunately they don’t let me decide when these things happen, so here we are! I’m getting back into a regular work routine while still finishing up my studio project . . . yes, that’s right, it’s not done yet. Oh, home construction projects. It’s getting close though! I hope I can give you a tour soon because I’m anxious to get back in there. I’ve got walls, paint, and some trim. All that’s missing is a closet door, flooring, and some barn doors. Oh, and all my STUFF. So besides my studio project, what else have I been doing? Let’s catch up! I did a short course at the beginning of the summer called Explore Florals with Victoria Johnson. I’ve always liked Victoria’s style and the variety of ways in which she approaches her work. This 3 week course gave us a few different themes to work from with a lot of suggestions on how to explore the subject. The above collection, Wild Botanica, came out of this course and it’s one of my favorites. It was inspired by a walk I took on our family vacation in northern Minnesota. I liked it so much I turned it into my 2019 tea towel calendar design. It’s now available in my Spoonflower shop and on Roostery and finished tea towels will be in my Etsy shop (which is still temporarily closed) later this fall. There are a few other new collections in my portfolio (see below) that I worked on this summer and I also received some fun new samples over the past few months! My first fabric collection with Robert Kaufman, Flamingo Paradise, is now in stores and the next collection, What do the Animals Say?, will be available soon! Because of the construction zone in my house I haven’t been able to make anything with the fabric yet, but I hope to get to that in the near future. I love seeing new product samples! And now it’s back to class for me! It’s always a bit hard to get back into a good routine, but I’ll get there! I’ll be back soon (I hope) to share my new studio! It’s the week of LOVE! I celebrated Valentine’s Day with a fun dinner with my family, complete with pink cupcakes (I also like to decorate the table for the holiday). Then we did a little “escape room” puzzle challenge with the kids. They’ve got to work for their Valentine treats. Being Ash Wednesday, I also spent some time at church! It was an odd mashup of events. It will come as no surprise to you that people spend some money on CARDS this time of year, so here’s a selection of Valentine designs from my portfolio. Lots of love to go around! Maybe I’ll add some fun hand drawn lettering so this could work as a card too. These cute classroom valentines are available on Mpix.com as a customizable valentine for the kiddos! The Christmas holiday season has come 'round again and, all clichés aside, I really do enjoy this time of year. Especially now, when it's early enough that I'm still enamored with all the sparkly lights and not too stressed out (yet). So today's post is all FA LA LA. I have some new products in my Etsy shop for the holiday season (perfect for gift giving, hint, hint.) and they're going fast because I don't make a lot of them! I've also been working on some new holiday art because while I'm usually making Christmas art all year long this is really the easiest and most enjoyable time to make it. 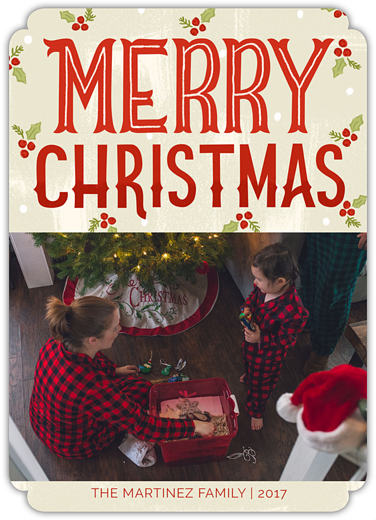 New this year, I have some holiday photo cards available with Mpix.com and I'd love for you to check them out if you're sending out family Christmas cards. Finally, the most recent Yellow House Post included some free printable gift tags because I'm a total gift wrap nerd. If you'd like some of your own, subscribe! Or send me a note and I'll make sure you get some. Now I'm off to deck the halls or wassail . . . or something like that. Holiday Photo cards available at Mpix.com! 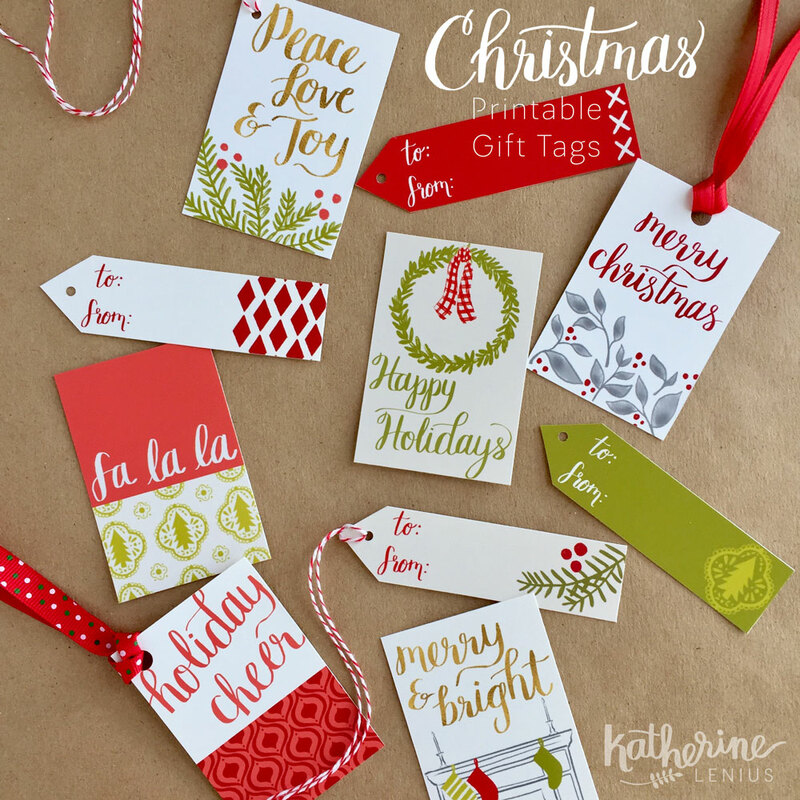 Christmas Gift Tags available to Yellow House Post subscribers. Contact me to get yours! I've recently created a new newsletter called Yellow House Post. 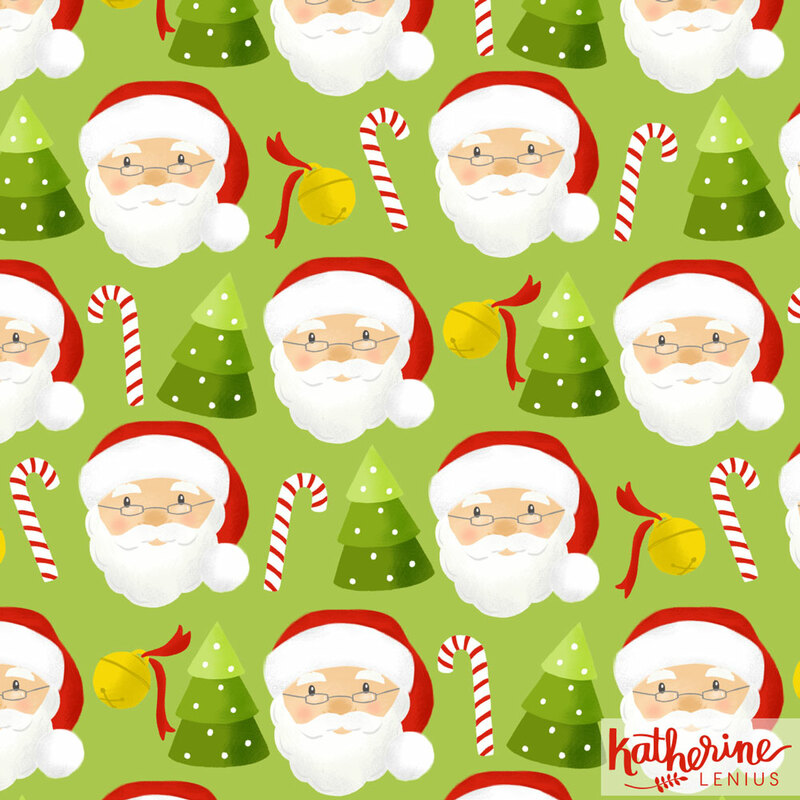 This special newsletter will still share my recent work but it will also introduce new products as well as share news, shop promotions, and fun printables. I will also still be sending out a separate newsletter to art directors and buyers who might be interested in purchasing or licensing my work. For now I've gone ahead and divided up my existing subscribers into the group where I think they belong (but people can always subscribe to both!). The first Yellow House Post goes out this week and if you think it might be something you'd like to receive in your inbox, simply sign up! This edition includes a fun collection of fall floral printables that I think you'll really enjoy. And if you have any questions about my newsletters or your subscription, please contact me. You can get the archived version of this first Yellow House Post here! Bunches of bouquets in the shop! I was having a hard time getting into my groove on Monday so I went back to some flowers I'd painted the week before and started "arranging" them in Photoshop. I actually love arranging flowers in real life (I get that from my Grandma Virginia) and it turns out arranging them digitally is almost as much fun - and they last FOREVER! Then I did a couple more! And then I put them in my shop because I really like them and someone else might too. I suppose one down side is they don't smell as nice as real flowers. I'll just have to wait for spring and summer for that.